Snapper Carr and his girlfriend Midge go to a fair fun house but find themselves transported to an alien world. He signals the League who arrive to rescue them. 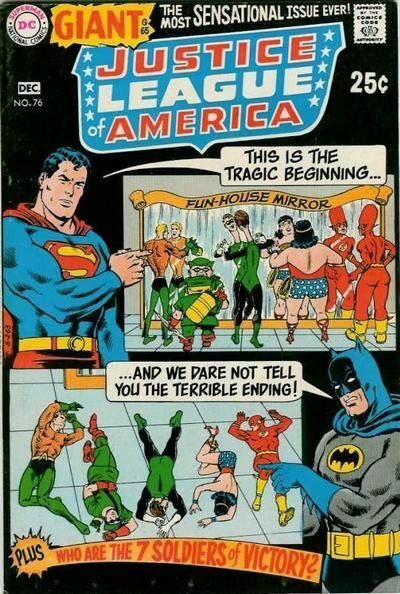 The League then decide to investigate the fun house.They discover the fun house is a testing place for an alien race and their weapons and defeat them, sending them back to their home planet.Later, unknowingly, the whole League enjoy the fun fair in their civilian identities with their respective partners.